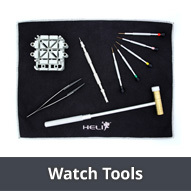 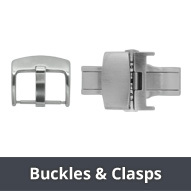 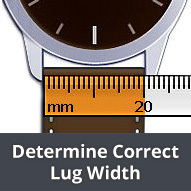 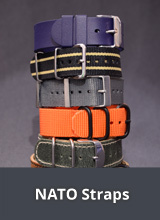 Here in this category you will find watch bands and more from the brand EICHMUELLER! 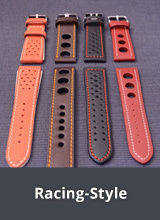 The beginnings of the firm EICHMUELLER from Munich go back to 1950 with the production of the "RE-Watch". 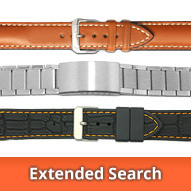 Since 1985 EICHMUELLER has also been producing watch bands. 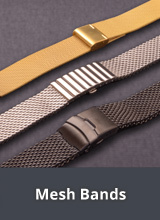 Since then the firm EICHMUELLER has become a traditional company and has developed a large range of products for the watch and jewellery markets. 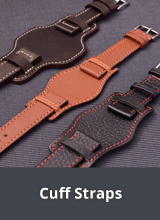 Nowadays a large assortment of watch bands (made of leather, metal, synthetic), wrist watches from classic to fashion in style, pocket watches and more are available from EICHMUELLER. 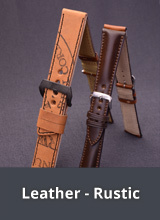 For all products, the company's motto, "quality at a fair price" is at the centre.